When you embark on a tour of Africa with Cosmos, you get insights and cultural interactions that turn your once-in-a-lifetime Africa tour into a truly one-of-a-kind vacation experience. 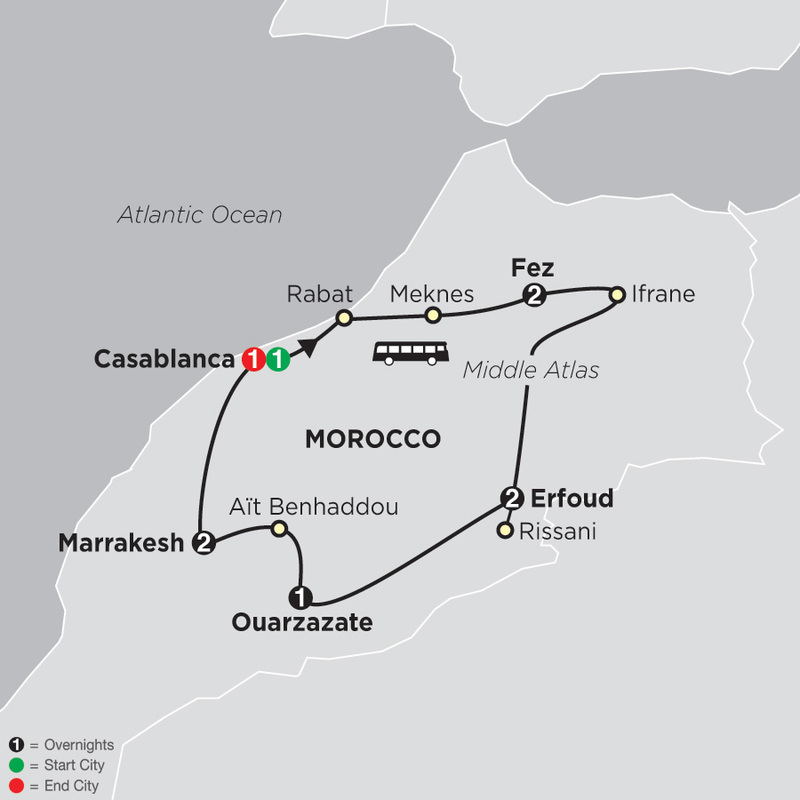 On your escorted tour, you can explore captivating Morocco and it's rich history and culture, historical sites and authentic cuisine. See Africa the way it’s meant to be seen - with Cosmos. 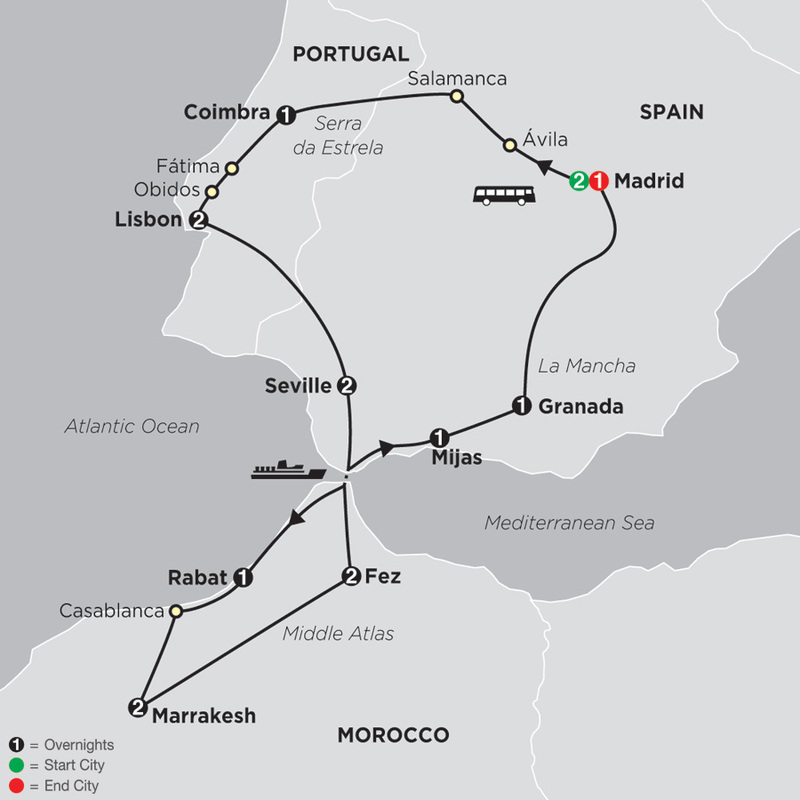 Exotic and fascinating, the Kingdom of Morocco is rich in history and culture, offering travelers intriguing historic sights, authentic cuisine, and changing scenery that is perfect for value-minded travelers wanting to explore and learn about a new destination. This ...Read More. 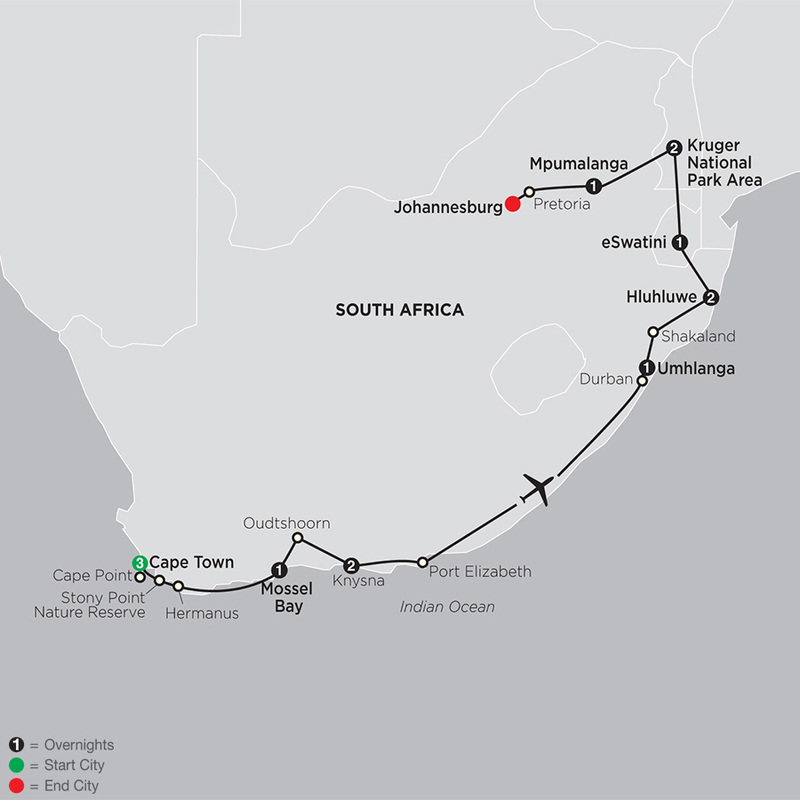 From the history of Johannesburg to exploring Kruger National Park and Cape Town’s highlights, your tour of South Africa is an adventure like no other. 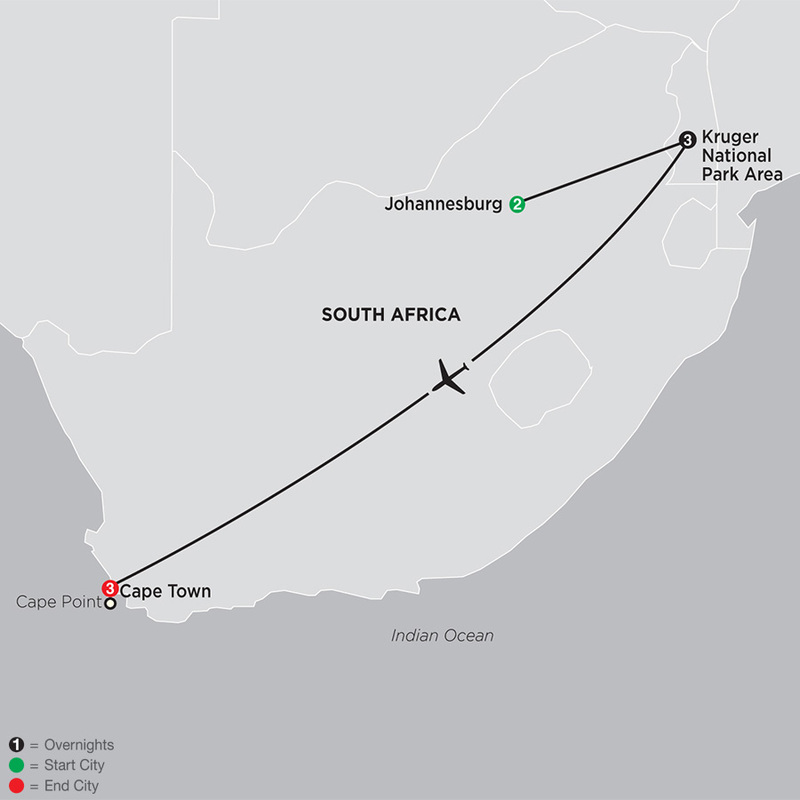 You’ll begin in Johannesburg’s Soweto Township to learn about its turbulent past and hopeful future. Visit the ...Read More. Imagine seeing wildlife—lion, zebra, giraffe, Cape buffalo, flamingo, elephant, and more—in their natural habitat. On this Kenya safari for value-minded travelers, you can! No safari in Kenya would be complete without visiting Maasai Mara National Reserve, Kenya’s most famous ...Read More. Imagine visiting fascinating Dubai and seeing wildlife—lion, zebra, giraffe, Cape buffalo, flamingo, elephant, and more—in their natural habitat. 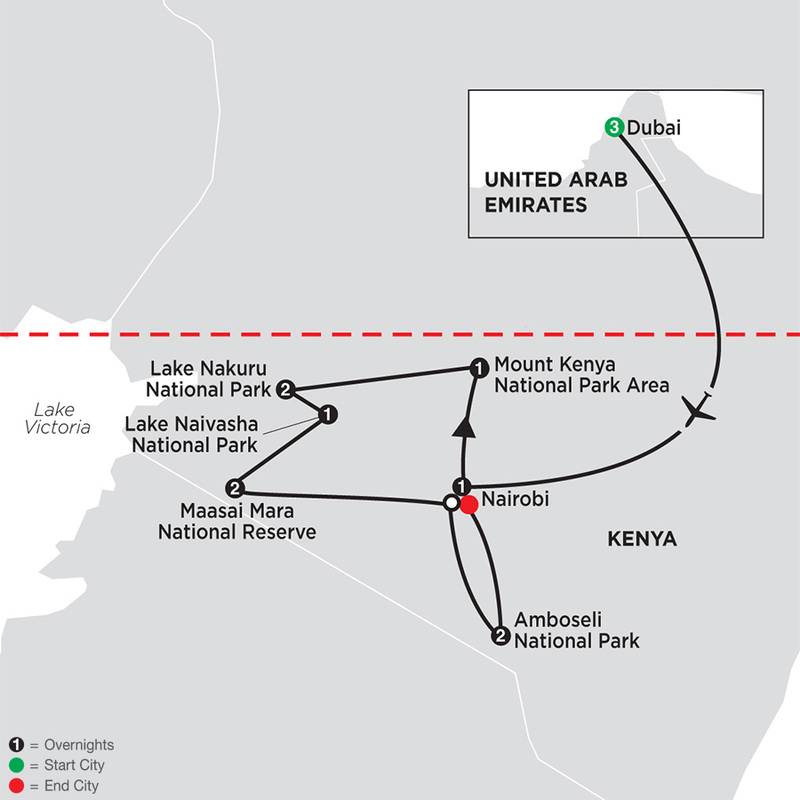 On this tour of Dubai and Kenya for value-minded travelers, you can! First, stop in Dubai and visit its many souks (markets) and the ...Read More. 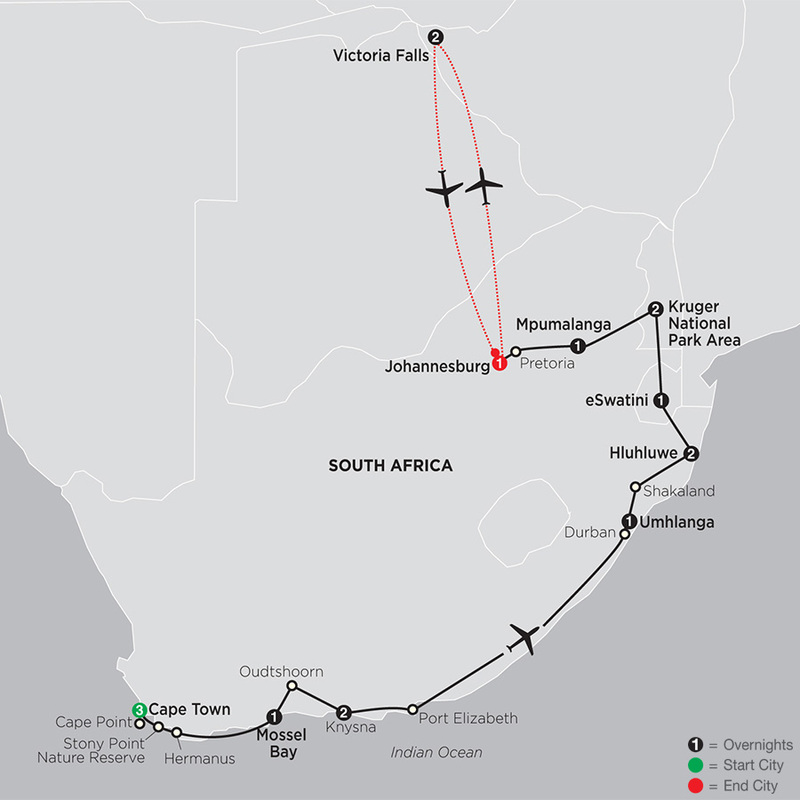 Enthralling game drives, stunning scenery, and fun experiences…this South Africa tour has it all! Have your camera ready for opportunities to see wildlife in their natural environment. Riding in open-air, safari vehicles, enjoy game drives in Kruger National Park, one of the ...Read More. 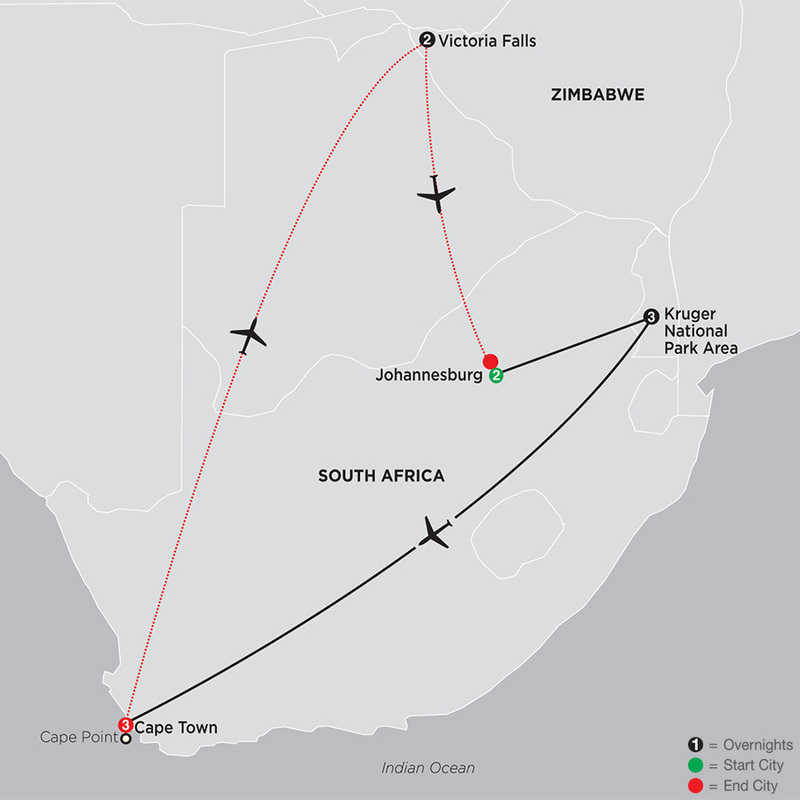 Enthralling game drives, stunning scenery, and fun experiences…this South Africa tour with Victoria Falls has it all! Have your camera ready as you ride in open-air, safari vehicles during game drives in Kruger National Park, one of the world's largest game reserves and home to ...Read More. 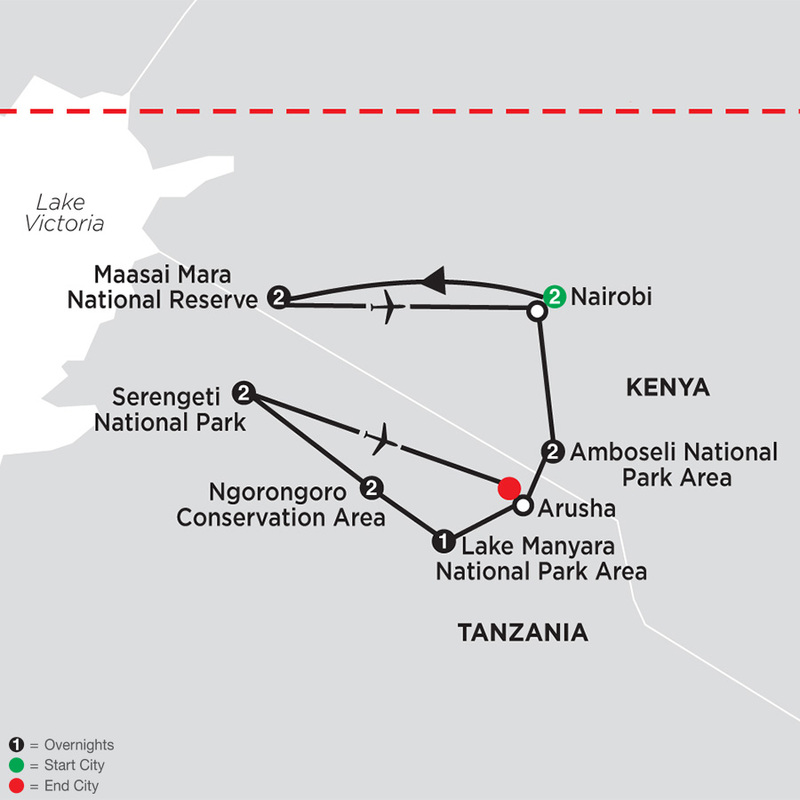 Explore magnificent national parks and reserves on this exciting Kenya and Tanzania safari. 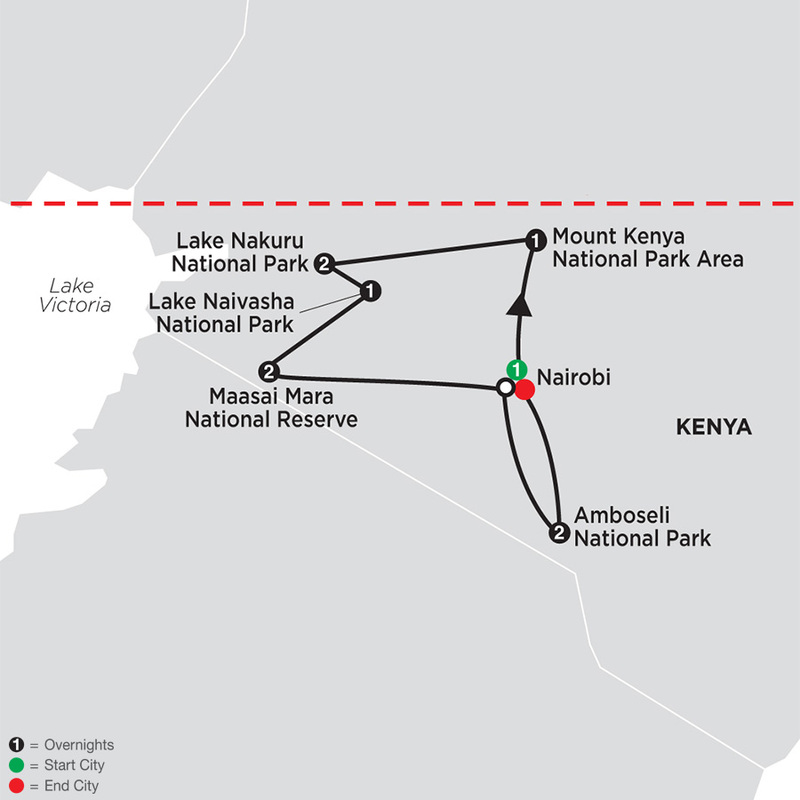 Your expedition begins in Nairobi as you depart for the Maasai Mara National Reserve—Kenya’s most famous game area. 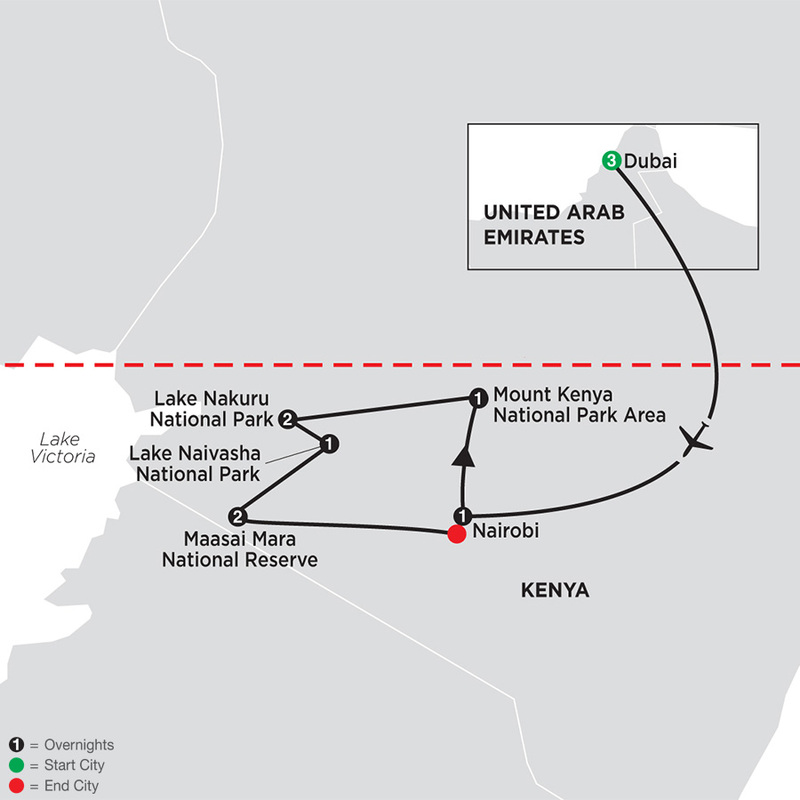 You’ll embark on morning and afternoon game drives in the “Mara”—home ...Read More. 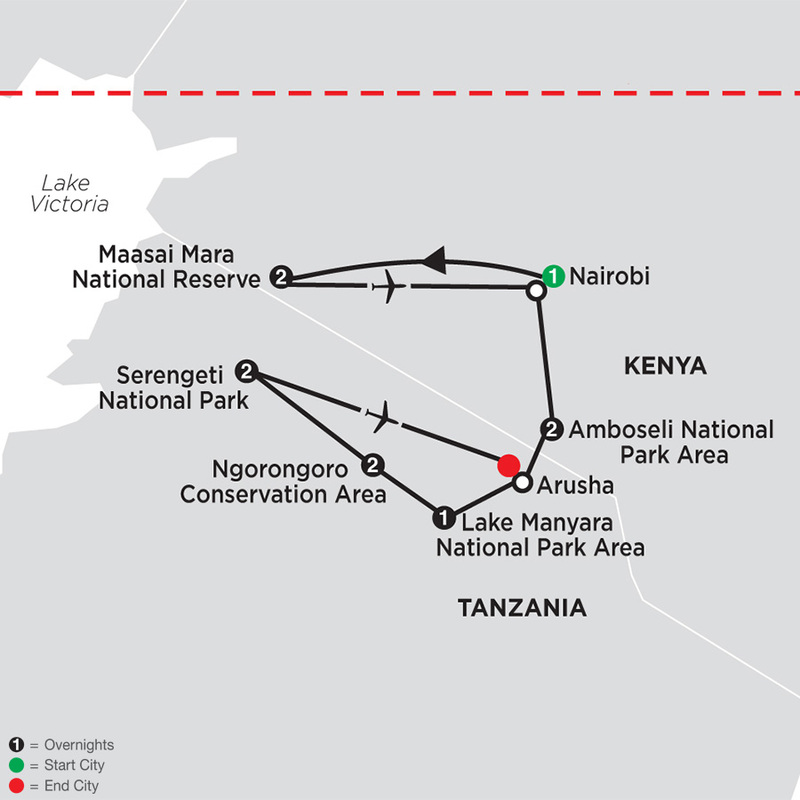 Explore magnificent national parks and reserves on this exciting Kenya and Tanzania safari. Your expedition begins in Nairobi where you’ll visit the Giraffe Center and meet elephant calves orphaned by poachers at the Sheldrick Elephant Orphanage. 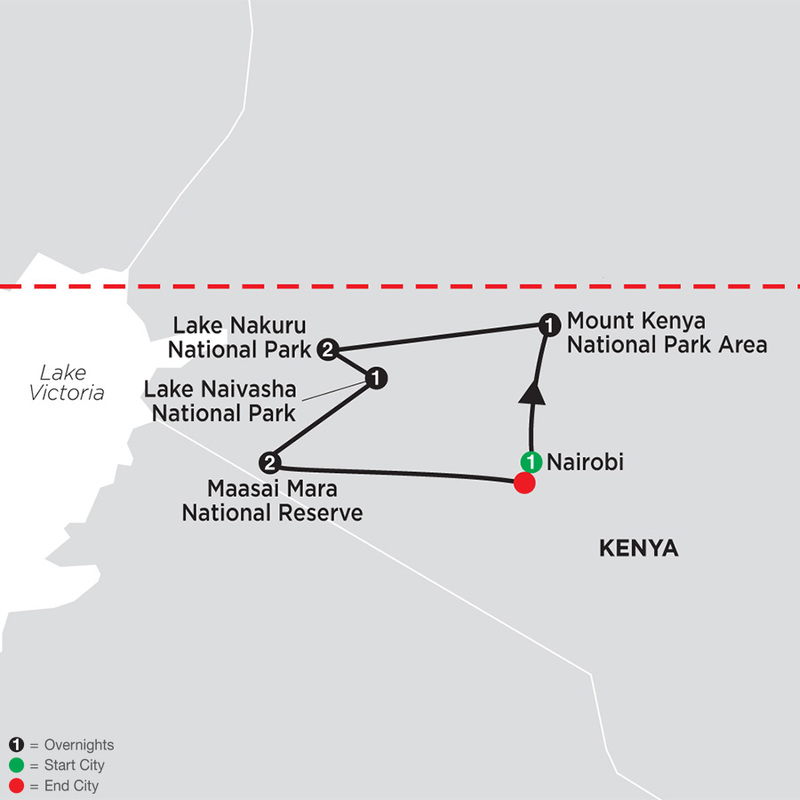 Depart for Maasai Mara National ...Read More.